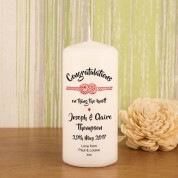 What better way to celebrate an engagement, than with a personalised keepsake candle? The quirky candle is bespoke for the happy couple, with their names and special date of engagement included. There is even space for a short with love message, so it is completely unique for every couple. The red design will add a pop of colour wherever it is displayed in the home. 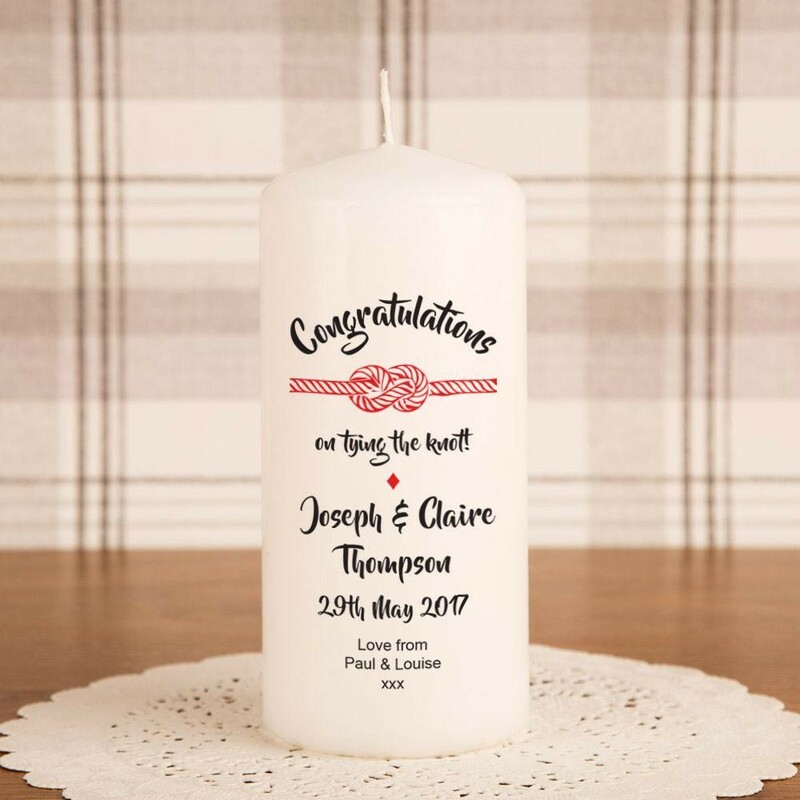 An excited couple will love to light up their love nest with this quirky little gift! Alternatively they can keep it as a reminder of their engagement day. It may also be lit and displayed at an engagement party.